Grasping hands, we stand in a circle and she says, “Share one thing you are thankful for” and silence fills the room. It’s Thanksgiving Day and we have all gathered to feast, hunt, fellowship, read the sales papers, watch the parade, and yes, give thanks. 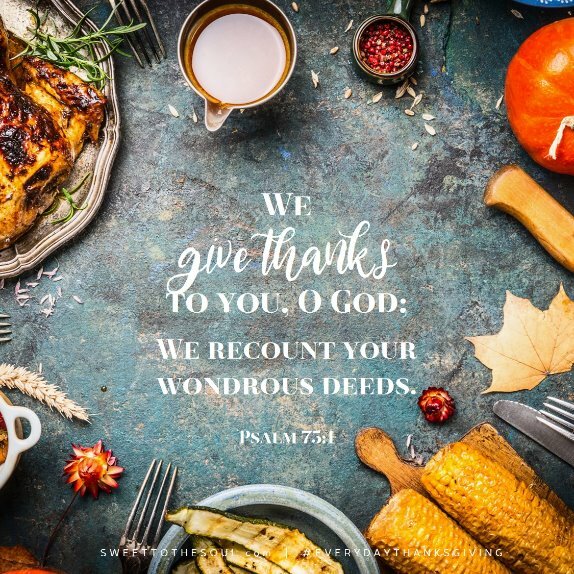 But every year it’s a little awkward when my husband’s mom asks the group to share what they are grateful for as we join hands to ask a blessing over the mounds of food. It seems simple enough. There is a mound of food in the kitchen and the hands that worked hard preparing; there is the gathering of loved ones, generation to generation. Thanksgiving should slip from our lips. So why is it difficult? Mainly, I think the group just doesn’t like to be put on the spot. Talking in a group is not everyone’s cup of tea. But if I am honest, I also believe that it’s uncomfortable because we don’t take time to count our blessings every day. We have become a society that shares our complaint but not our gratitude. Don’t worry, I’m speaking about myself as much as anyone and my toes are feeling pinched. I’m the first to admit that when my mouth opens and I hear complaints slip forth I cringe. I catch myself whining and remind myself that praise should be the resounding noise that I share, not complaint. Several years ago while teaching a women’s bible study I giggled at the word all and so did the rest of the girls. That is a big order, right? Let’s consider the things I did during my years as a nurse. I stood in a patient’s room while he lost his breakfast right on me as I assisted him out of bed. It’s one thing to catch that sort of yuck from your children but another all together from a stranger. Unpleasant, I know, but I really wanted to drive home the point that “all circumstances” brings with it a tall order. All is an enormous word that encompasses a great deal of things that I’m not certain we think to be grateful for each day, yet, God says it’s His will for us. We: Those who believe and call your Lord. Give thanks…for your name is near: God is near us always and that is simply enough to be thankful. Recount your wondrous deeds: Start at the beginning and recount the wonderful that God has done. Striving to obtain a grateful heart that counts blessings 365 days a year takes an intentional shift of our mindset. Count and recount. We must prepare our hearts in advance to focus on the blessings. An intention focus of gratitude helps destroy an ugly attitude of complaint. For instance, go back to my day with my patient. I’m grateful that I held him up while his world was spinning in circles. He was a back surgery patient and a fall to the floor would have been detrimental to his recovery. I’m thankful he and I had time to laugh after I changed clothes. I have counted and continue to recount this time as a blessing. Just recently our family lost two loved ones in a matter of a week to cancer. It was a tragic set of circumstances. Two funerals, back to back; the grief was heavy. However, as tears flowed, a group of cousins that had drifted apart, gathered to embrace and remember. With that came laughter, hugs, and determination to stay in touch during good times. Gratitude grew are we spent time together counting past blessings. Certainly we could have complained, instead we focused our hearts on God being near, even during grief. 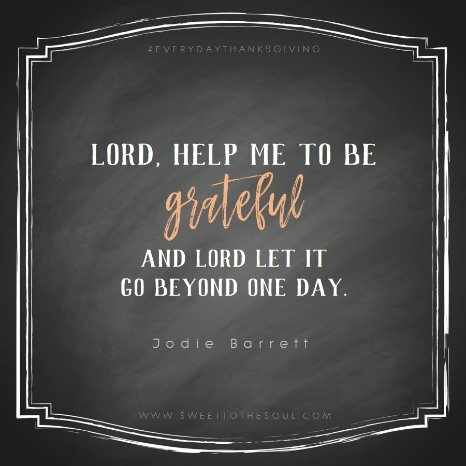 ​Jodie Barrett is a wife, mother, homemaker, office manager, teacher and speaker! She resides in the small town of Roanoke Rapids, NC and attends Calvary Baptist Church. She enjoys using the gifts that God has given her combined with the wisdom gained from the Word and life experiences to motivate and encourage women to strengthen their faith and fitness. 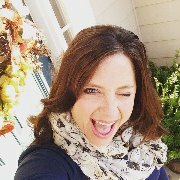 ​Catch up with Jodie on her blog at FaithfullyFollowingMinistries.org. I LOVE this post! Lord, let me be thankful. Let my gratitude go beyond today. Help me to remember. I took this year off from journaling three gratitudes a day. I can tell that I have allowed myself to slip back into a negative mindset rather than into being grateful consistently. Time to start journaling my gratitudes again. This year I've journaled but with an upward focus and boy has it made a difference! On those days when I can't "grasp" a blessing I am able to grasp that God himself is the blessing! I'm thankful for you today! Agree with Misty- this message is awesome! Thank you Jodie for sharing His word to you with us. "An intentional focus of gratitude helps destroy an ugly attitude of complaint." Lord remind me of these words every morning before i get out of bed. "Intentional" has been a reoccurring word for this year Amy! So thankful you are here and that you are always a blessing!